Stunner Baby Magazine once again has to report the tragic death of another black man at the hands of brutal police tactics by the Baltimore Police Department. Night after night our evening news has been littered like a ticker tape parade celebration on the senseless deaths of Eric Garner, Michael Brown, Walter Scott, Trayvon Martin, and now Freddie Gray. The mounting concern across Black America is at a state of high alert! Are black men and women being brutally profiled with deathly intent? 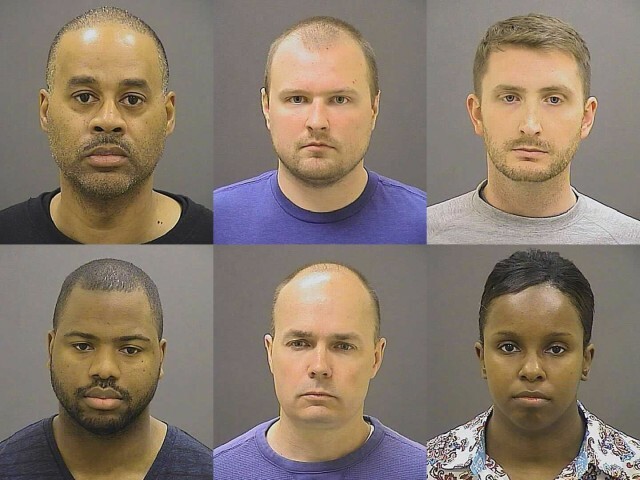 Who in the hell was Freddie Gray? Freddie Gray was the 25-year-old son of Gloria Darden. He had a twin sister, Fredericka, as well as another sister Carolina. At the time of his unnecessary and preventable murder, Gray lived in the home owned by his sisters in the Baltimore Gilmore Homes neighborhood. Gray had a criminal record, mainly consisting of drug charges and minor crimes. Gray had been involved in 20 criminal court cases, five of which were still active at the time of his death. Police encountered Freddie Gray on the morning of April 12, 2015, while walking out of the neighborhood corner store near Baltimore’s Gilmor Homes housing project, an area known to have high levels of home foreclosures, poverty, low-level drug deals and violent crimes. According to the charging documents submitted by the Baltimore police at 8:39 a.m., Lt. Brian W. Rice, Officer Edward Nero, and Officer Garrett E. Miller were bike patrolling on bicycles and “made eye contact” with Gray, who took off running on foot “unprovoked but apparently scared of the police.”After a brief chase, he was taken into custody. Two bystanders captured Gray’s arrest with video recording, showing Gray, screaming in pain as he was dragged to a police van by officers, and then stepping up into the van. A bystander stated that the officers were previously “folding” Gray with one officer bending Gray’s legs backwards, and another holding Gray down by pressing a knee into Gray’s neck, several witness observing the forceful action heard him shout “I can’t walk, can’t use my legs” and “His leg look broke and you all dragging him like that”. Despite his plea, Gray was placed in a transport van within 11 minutes of his arrest, and within 30 minutes, paramedics were called to take him to a hospital. The van made four confirmed stops while Gray was detained. A sinister practice has surfaced suggesting that the Baltimore Police department performed“rough ride” — a form of police brutality in which a handcuffed prisoner is placed in a police van without a seat belt, and is thrown violently about by driving the vehicle erratically. “Rough rides” have been implicated in a number of injuries sustained in police custody, including the death of Freddie Gray. University of South Carolina professor Geoffrey Alpert, an expert in police use of force, has asserted that the practice was common in the 1980s and 1990s, but has become less so with the increased presence of video recording equipment in police vehicles. As a result of extreme police brutality, Gray suffered from total cardiopulmonary arrest at least once while trying revive him. According to his family, he lapsed into a coma, and underwent extensive surgery in an effort to save his life. Gray suffered three fractured vertebrae, injuries to his voice box, and his spine which was 80% severed at his neck. Police confirmed that the spinal injury led to Gray’s death on April 19, 2015, a week after his arrest. 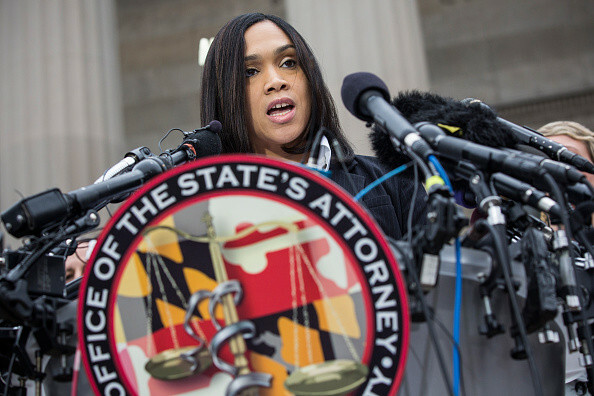 On May 1, 2014, after receiving a medical examiner’s report ruling Gray’s death as a homicide, Marilyn Mosby stated to prosecutors that they had probable cause to file criminal charges against the six officers involved. Mosby said that the Baltimore police had acted illegally and that “No crime had been committed” by Freddie Gray. 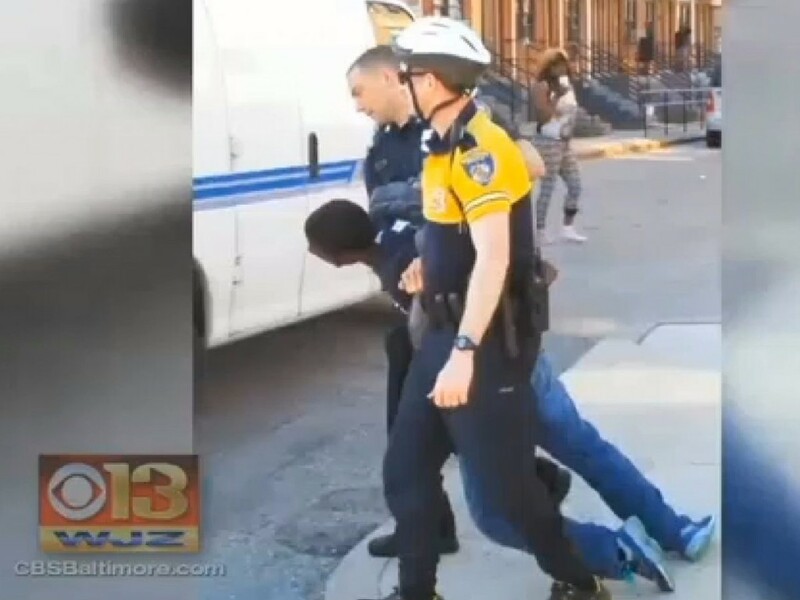 Mosby said that Gray “suffered a critical neck injury as a result of being handcuffed, shackled by his feet and unrestrained inside the Baltimore Police Department wagon. As a result, the officers were charged with false imprisonment, because Gray was carrying a pocket knife of legal size, and not the switchblade police claimed he had possessed at the time of his arrest. All six officers were taken into custody and processed at Baltimore Central Booking and Intake Center. Three of the officers are facing manslaughter charges and one faces an additional count of second degree depraved-heart murder. The murder charge carries a possible penalty of 30 years in prison. All six officers were released from jail after posting bail the same day they were booked. Two officers were released on $250,000 bail and the other four paid $350.000 in bail. Gray’s death resulted in an ongoing series of protests and civil disorder. A major protest in downtown Baltimore on April 25, 2015, turned violent, resulting in 34 arrests and injuries to 15 police officers. After Gray’s funeral on April 27, civil unrest intensified with looting and burning of local businesses and a neighborhood CVS drug store, culminating with a state emergency declaration by Governor Lawrence Hogan, Maryland National Guard deployment to Baltimore, and the establishment of a curfew. On May 3, 2015, the National Guard started withdrawing from Baltimore, and the night curfew on the city was lifted. In reaction to the national outcry, the Maryland State Police sent 82 troopers to protect the city. Maryland Governor Larry Hogan declared a state of emergency, and activated 500 state troopers for duty in Baltimore and requested an additional 5,000 police officers from other locales. 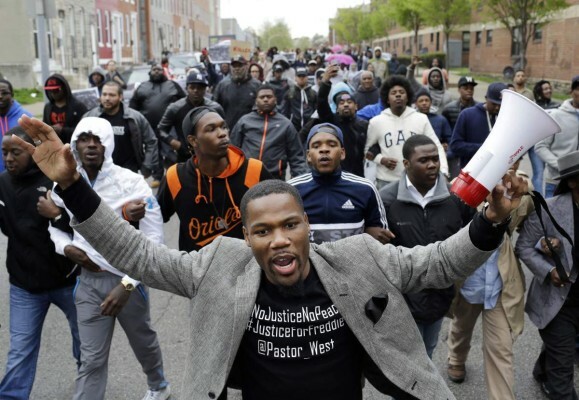 Protests outside Baltimore created national attention. In New York City, 143 people at Union Square were arrested on April 29, 2015 for blocking traffic and refusing to disperse. On the same day, outside the White House in Washington, D.C., nearly 500 protesters converged without incident. In Denver, eleven people were arrested as protesters were involved in physical altercations with officers. 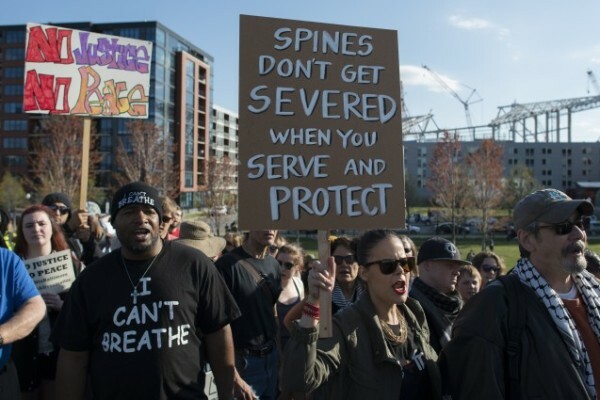 Other protests in response to Gray’s death took place in cities including Chicago, Minneapolis, Miami, Philadelphia, Portland, and Seattle.